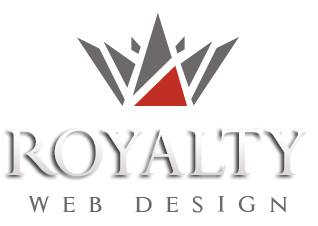 Royalty Webdesign is a web design and graphic design agency in Europe. Advertising agency, Royalty, creates professional logo design, graphic logo design, corporate branding and identity. To create a successful image for your company you should start by purchasing a professional logo. Whether you want a simple logo to represent your company name or you want a complex logo design, our agency is available with unlimited graphic options for choosing the right solution. Most companies offers within 3-5 design options for logo but we offer the ideal solution for getting a high quality logo. The logo is for a company the "first impression", it represents its visual identity that will appear both on company documents (business cards, letterheads, catalogs, etc.) on stamp and promotional materials for any advertising campaign. For this reason the logo should represent both the colors and directions of development of the company. Choosing colors for a professional logo is the first step in achieving corporate identity. If the customer wants certain colors, graphics options presented will use those colors. If the client has not yet established the firm colors, our designers will make various graphics versions in various color combinations. Each logo will be discussed with the client to see if it came to a final decision or to determine the direction that needs to be followed. To get a quality logo can use with confidence our graphic design services.